Orlando, FL - October 16, 2018 – Universal Avionics (UA) introduces UniLink software version SCN 31.3 for the UL-80X Communications Management Unit (CMU). Through continuous investments in the UniLink CMU product, UA is improving the user experience and offering new, versatile functionality. It's the next step toward the company's vision for a fully integrated cockpit experience. 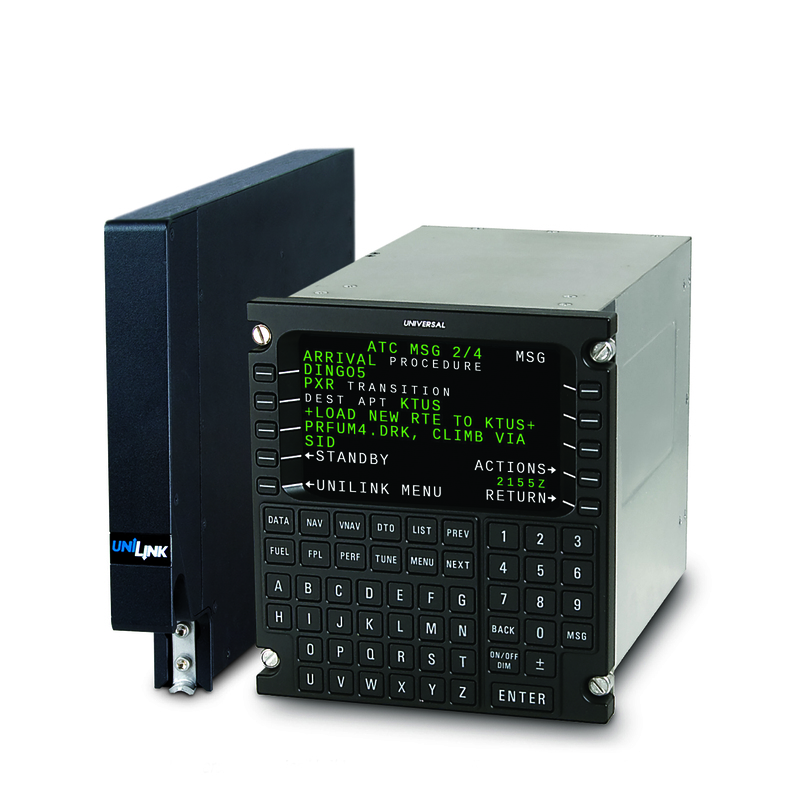 Combined with Flight Management System (FMS) software version SCN 1002.1, UniLink SCN 31.3's "push to load" capability allows for automatic loading of information received from Air Traffic Control via Controller-Pilot Data Link Communications (CPDLC) into the FMS flight plan. Additionally, automatic transition between SATCOM and VHF further streamlines operations so pilots don't have to manually manage this transition. "We are continually improving our products to support our customers' daily operations," said Robert Clare, UA Director of Sales. "SCN 31.3 will increase operational efficiency for operators not only domestically, but for remote oceanic operations as well," he added. "We are taking the level of operating the FMS and UniLink CMU one step ahead to make it easier and more user-friendly for the pilot to use." Pending FAA certification, UA expects UniLink SCN 31.3 to be available by the end of 2018. UA Report No. 's RPRT-10123 (software SCN 30.X) and RPRT-10120 (software SCN 31.X) are available to assist aircraft operators using the UniLink UL-800 and UL-801 CMU. The reports include compliance statements required for A056, Table 2: Aircraft Eligibility Summary for SOC-1, SOC-2, SOC-3, EQP-1, EQP-2, EQP-3, EQP-4, EQP-5, and EQP-6. Using these UniLink A056 compliance guides will further simplify efforts in submitting for new operational authorization. To learn more or for a live demonstration, visit UA Booth #2268 during the NBAA's Business Aviation Convention & Exhibition (NBAA-BACE).